The suit is for a business woman like a gear. Indeed, but I have to say that no matter if you are working in a business area or you have direct contact with clients, you should have a few suits in your wardrobe anyway. Whether we like it or not, a modern woman is spending a large amount of time at work. So, if you enjoy being trendy, you must concern a lot about your office outfit, even if that is not an easy task. 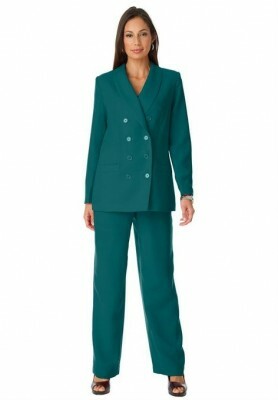 Not all women feel comfortable when they wear a suit. This is exactly why I thought I should share with you my opinion related to the advantages of wearing suits as a daily basis for example. Therefore, first of all, the most important I find the fact that such a woman looks more elegant. And yes, elegance is a key element not only in day by day life, but at the office too. Next, I am thinking about prestige. Indeed, when you wear a suit you automatically have a certain prestige. Everything is at high level. Whether we are talking about a business meeting, you are dealing a personal transaction or you have any other business, the suit will bring you a high prestige. Versatility is another important aspect when it comes to suits. You can be elegant not only at the office, but on other occasions too. During the spring, the suit seems the perfect outfit for me. No matter if you are going to work or elsewhere, don’t avoid the suit. Yes, I know, maybe it isn’t the most comfortable outfit ever (especially when you are wearing a skirt), I am fully aware of that. However, you must weight things very well. And, when I’m saying that I am thinking about the benefits that can compensate this aspect. 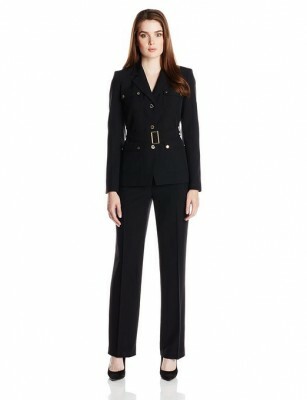 I believe that any lady has many circumstances where being elegant is a priority so a suit will come really handy. No matter if you choose the option with trousers or with a skirt, both are very elegant and spring will definitely look prettier that it already is. Be bold and wear a suit because it works into your benefit, there’s no doubt about it.